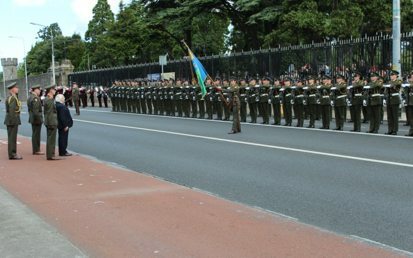 The State’s official commemoration of the funeral of Jeremiah O’Donovan Rossa in Glasnevin Cemetery on Sunday 1st August was the first official State event in the Ireland 2016 programme marking the 100th Anniversary of the Easter Rising. The funeral is best known for the graveside oration delivered by Pádraig Pearse. Continue reading"State Commemoration – Funeral of Jeremiah O’Donovan Rossa – Glasnevin – 01 August 2015"